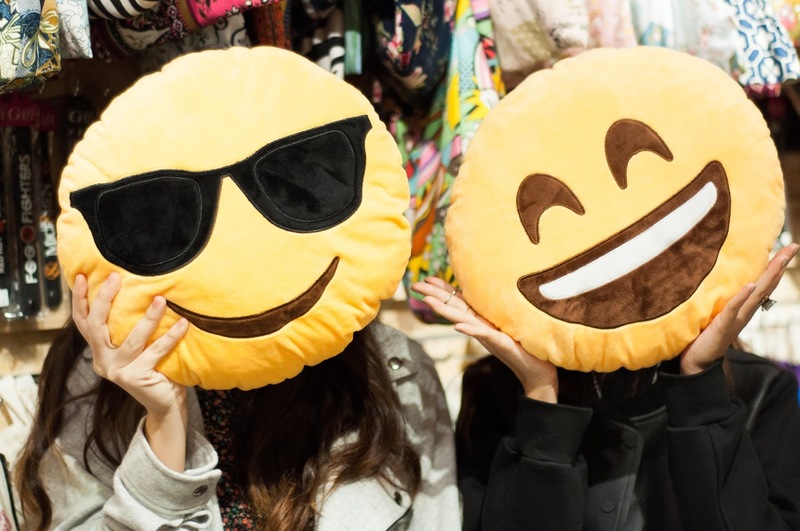 audrey and i recently hosted the second episode of Shopping Hey-O! 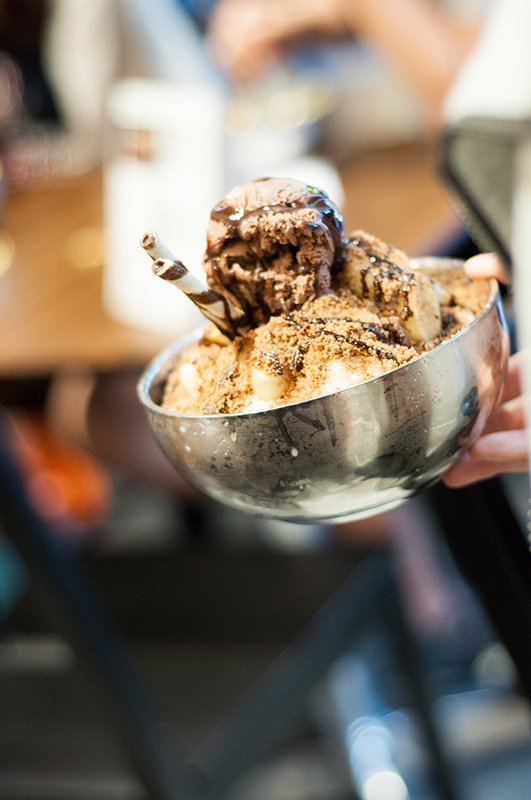 where we brought you to different stores within J Avenue in JCube for a shopping trip. 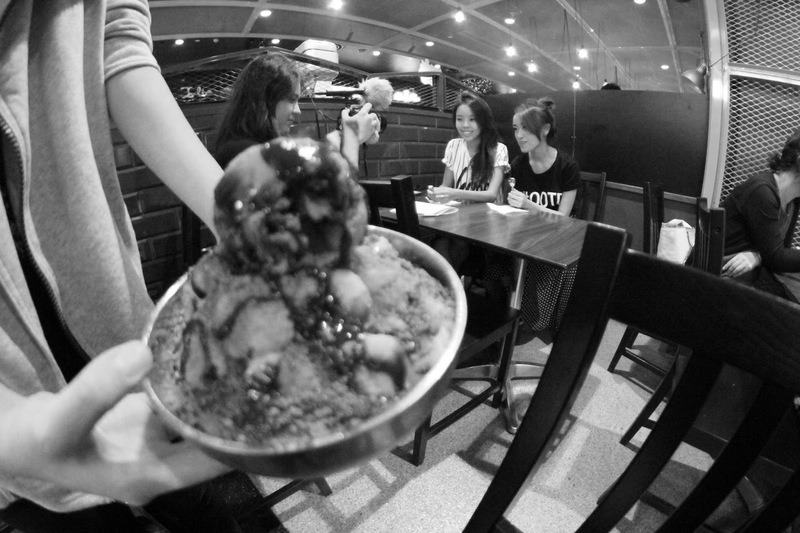 when i'm at JCube, i'm usually there for food. considering this is my first time shopping at J Avenue, i enjoyed myself. 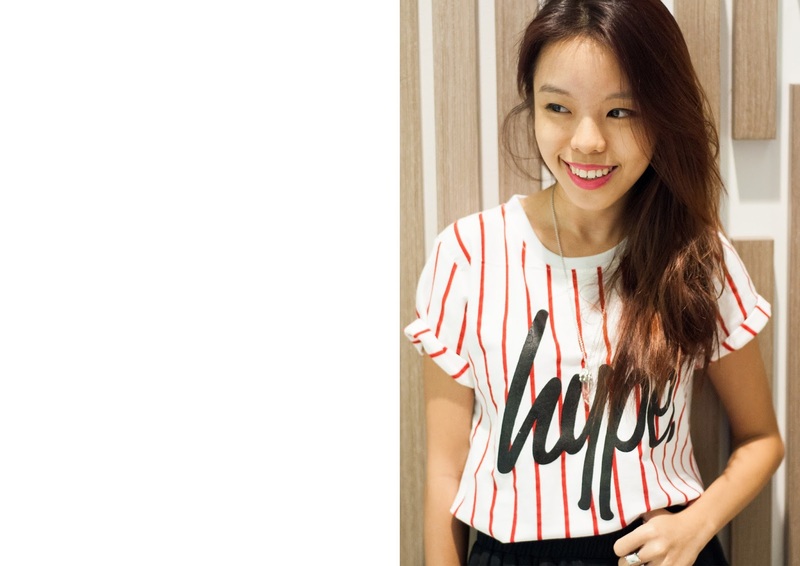 the whole level is catered to teenagers and young adults who seek variety affordable clothing. hehe i have managed to snag a few items, which i will be giving away! we were tasked to style a korean street style look that day, and i decided to go with a sporty baseball tee paired with a black tulle skirt. a mixture of casual and feminine. watch the video to find out more! giveaway time! these are the items i handpicked for you. 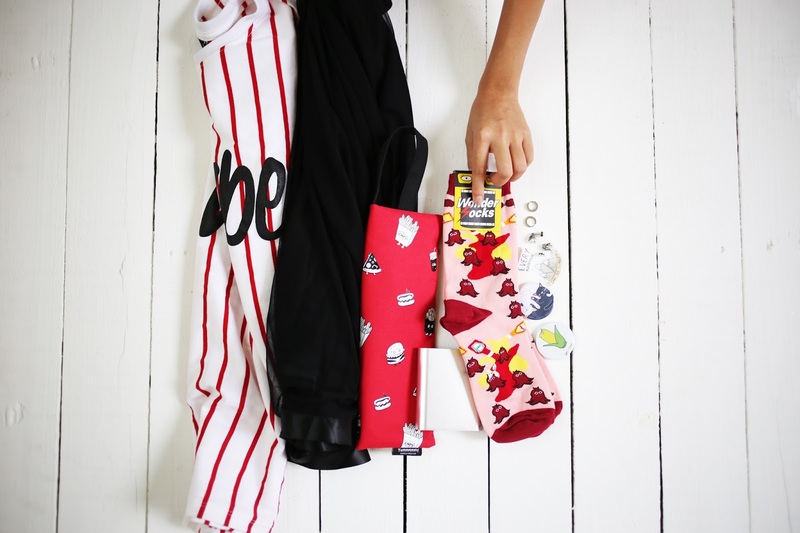 set one consists of a hype tee, octopus print socks, a red pouch, a sticker and a pair of earrings. 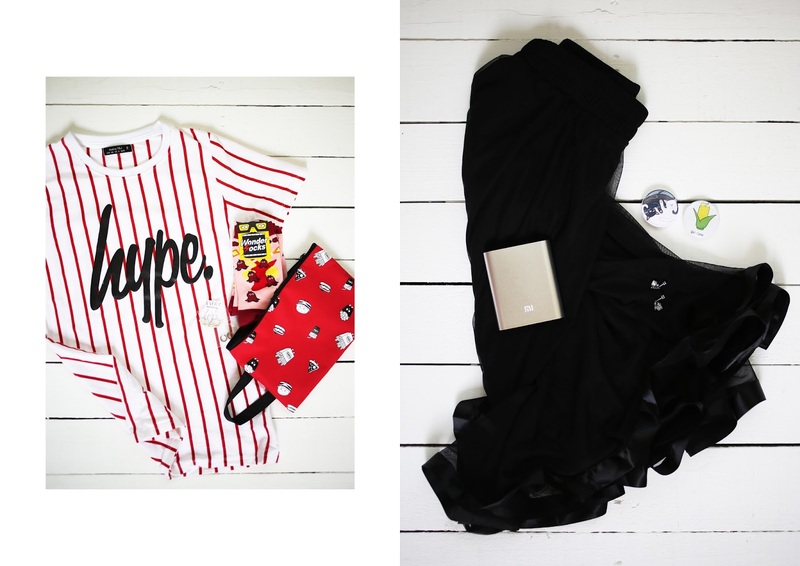 in set two you will find a tulle skirt, xiao mi portable charger, two badges and a pair of earrings. all you have to do is to click on this link and comment on the photo of the set you want to win, telling me why you would like to win those items. contest will end on 23 January. 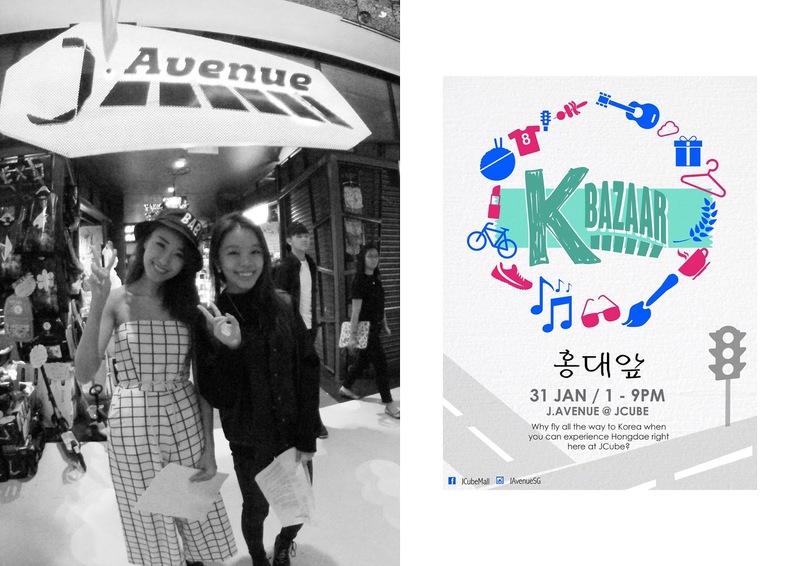 the k bazaar at J Avenue will be held on the 31 january, 1PM-9PM. the hongdae street themed carnival will have live performances, korean street food booths, games to play and there will even be a korean impersonator competition. while you are there if you are keen to do some shopping, you may mention my name for a ten percent off at the following participating stores are — the little badge store, urban girl, lava, cupid, ginnoya enterprise, lavender and bag bead select. be sure to head down and check it out! update — giveaway has ended. thank you to those who have participated!